My research under the guidance of Prof. Vassilis Kekatos focuses on investigating ways to improve situational awareness in power distribution grids under communication constraints to facilitate grid control tasks. In broad terms, we are looking at exploiting passively (every 15 mins or 1 hour) and actively (say every 5 seconds over 1 minute) collected smart meter and phasor-measurement (PMU) data for various distribution grid learning tasks (such as recovering non-metered loads and identifying grid topology). While the passive scheme complies with the throughput rate of smart meters, the active scheme exploits the controllability of smart inverters found in solar panels, energy storage units, and electric vehicles to purposefully probe the grid and subsequently record the response of the underlying physical system. 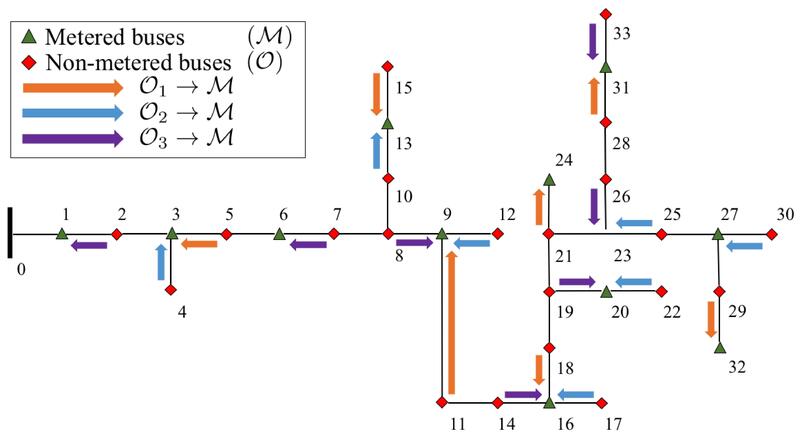 Using results linking linear algebra with graph theory, we were able to show that the locations of the (non)-metered buses on a distribution grid graph were sufficient in determining the recoverability of non-metered loads in the passive and active schemes. Assuming a probing setup satisfies these conditions, probing injections abiding by the inverter and network constraints were designed to improve load estimation accuracy. 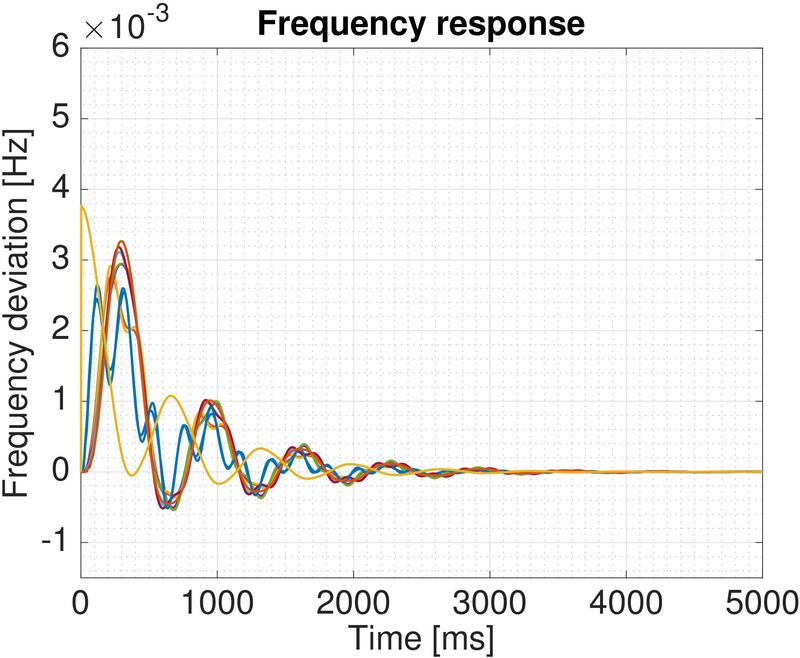 Finally, semi-definite programming (SDP)-based solvers were developed for power flow and power system state estimation under the active scheme. Current research efforts are focused on generalizing probing to infer the parameters of ZIP loads; developing scalable solvers; incorporating measurement from distribution lines and transformers; and applying our topological observability framework to detect data attacks in distribution grids. Explored the effect of topology on the linear time-invariant dynamics of power networks. For a variety of stability metrics, a unified framework based on the H2-norm of the system was developed. The proposed framework assessed the robustness of power grids to small disturbances and was used to study the optimal placement of new lines on existing networks as well as the design of radial (tree) and meshed (loopy) topologies for new networks. Using McCormick relaxation, the topology design problem (MI-SDP) was reformulated as a mixed-integer linear program (MILP).